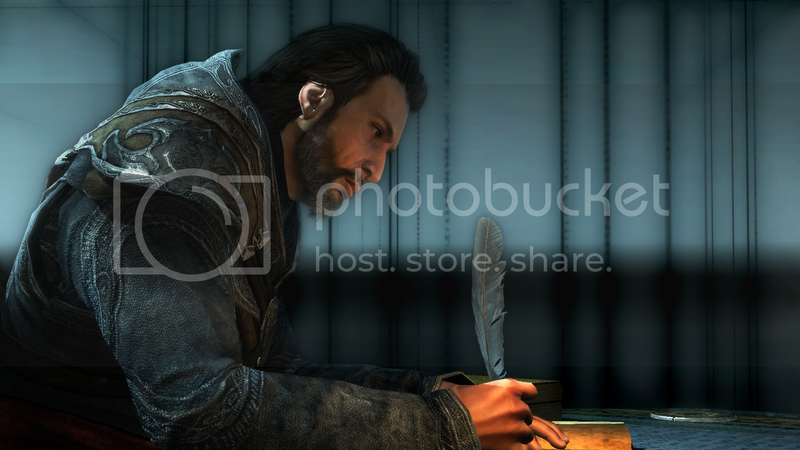 Got in a couple of Assassin's Creed stuff recently and managed to get some photos up..
First was the "Feather Pen" from Assassin's Creed Revelations. Not sure what it's exactly called? 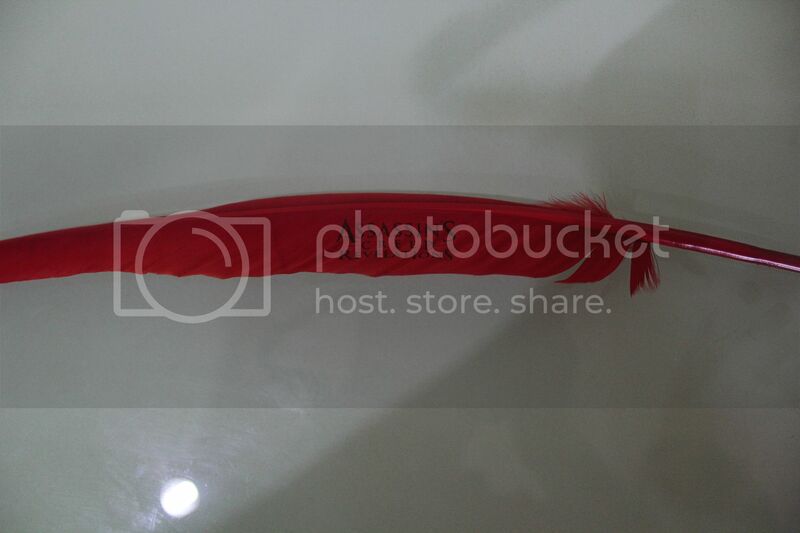 Plume? 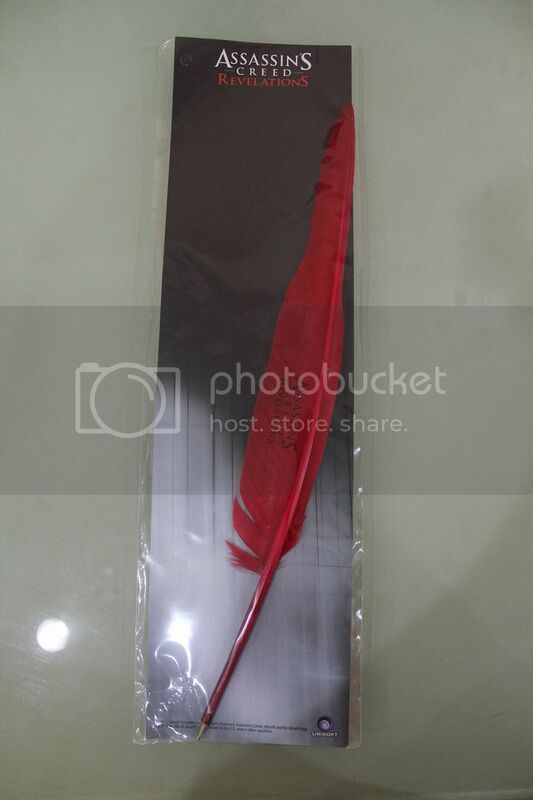 It's supposed to be a replica of the feather pen that Ezio used to write to his sister, Claudia in the AC Revelations game. Not sure why it's red though, could have been white to make it more realistic. It isn't of very high quality but for the price I paid, it was still worth it. Would be nice to see some real high-quality replicas of items in the Assassin's Creed Universe. 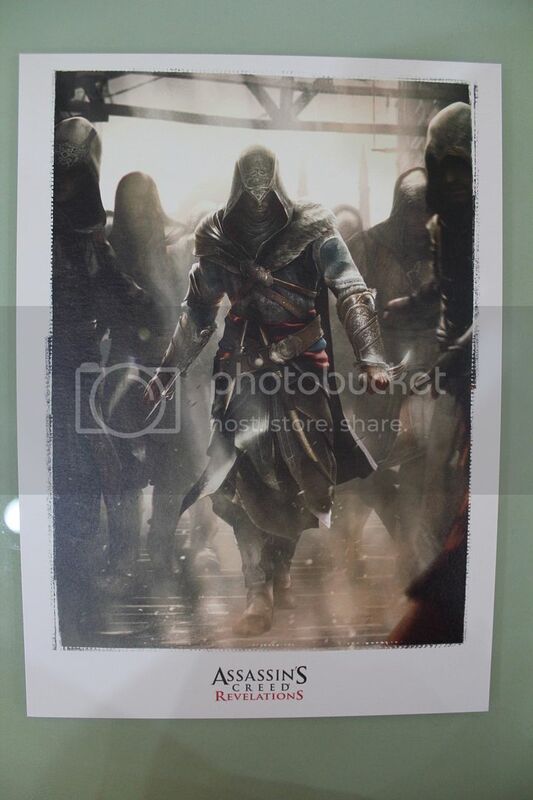 Next up are the lithographs from the Assassin's Creed Anthology. 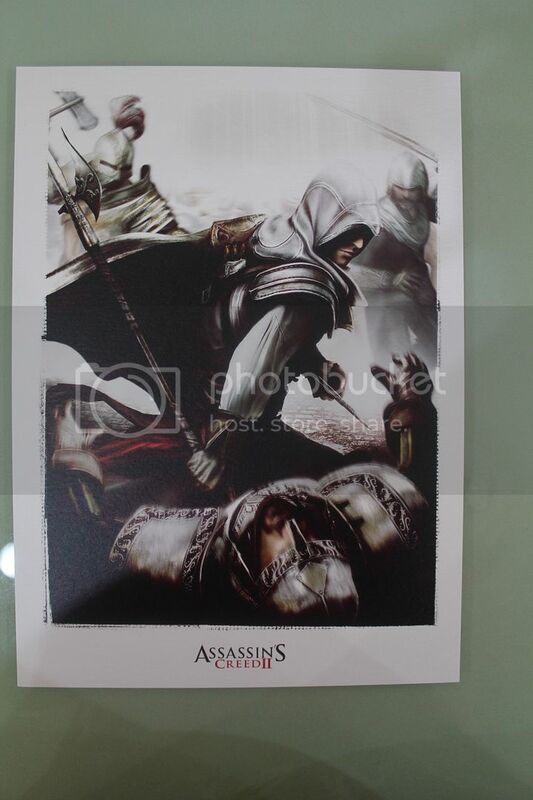 I had put off buying the Anthology edition for quite a while... always thought the lithographs were really nice especially as there are 1 from each Assassin's Creed game. I have always been an advocate of consistency and collections so nice to see 1 lithograph for each game rather than getting several different lithographs. Really really nice stuff. 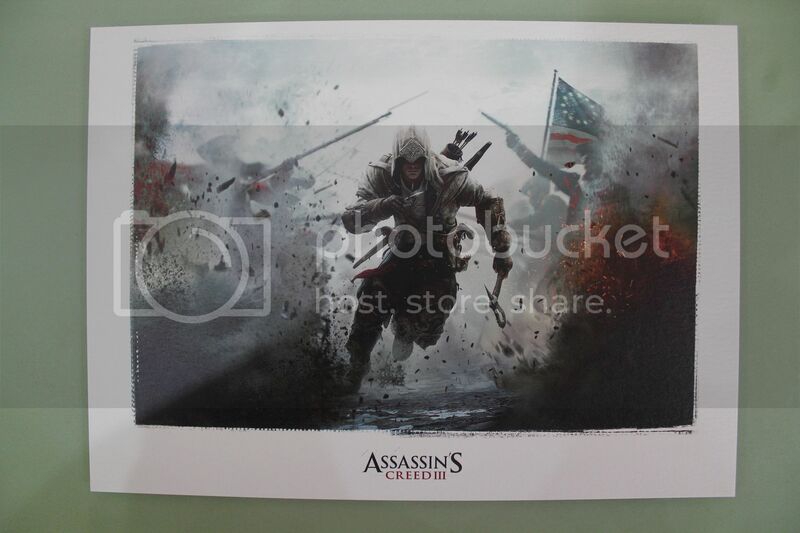 Got to get them all framed up and lined up in the background of my AC collectables someday. 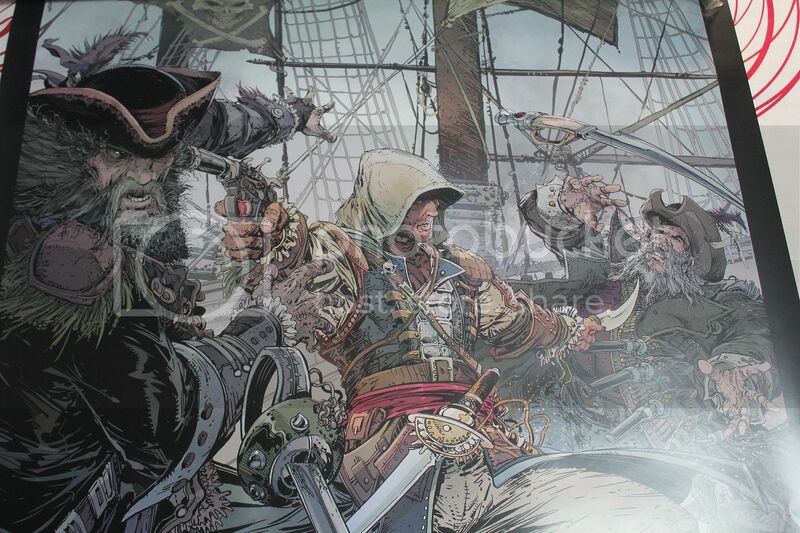 With AC IV coming out later this year, I'm hoping for a similar lithograph to match these. 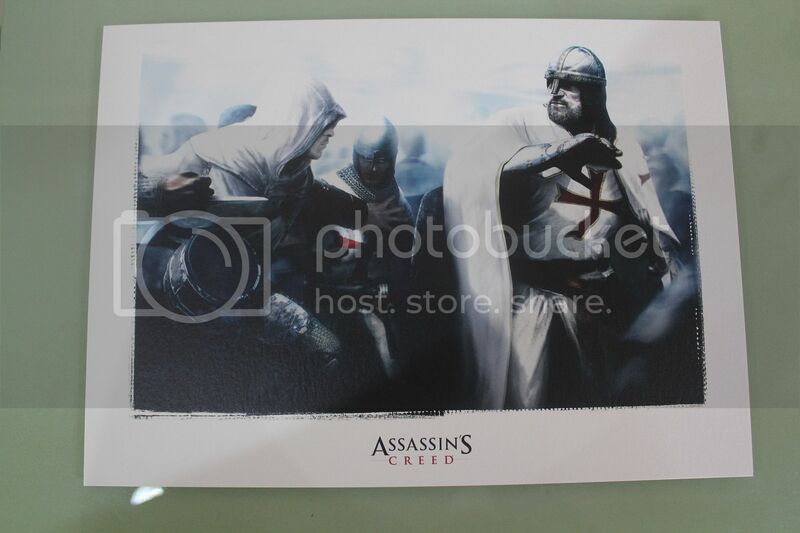 Personally I haven't actually bought any lithographs other than the ones included in the Collectors' Editions even though I have really admired the artwork from the AC games. 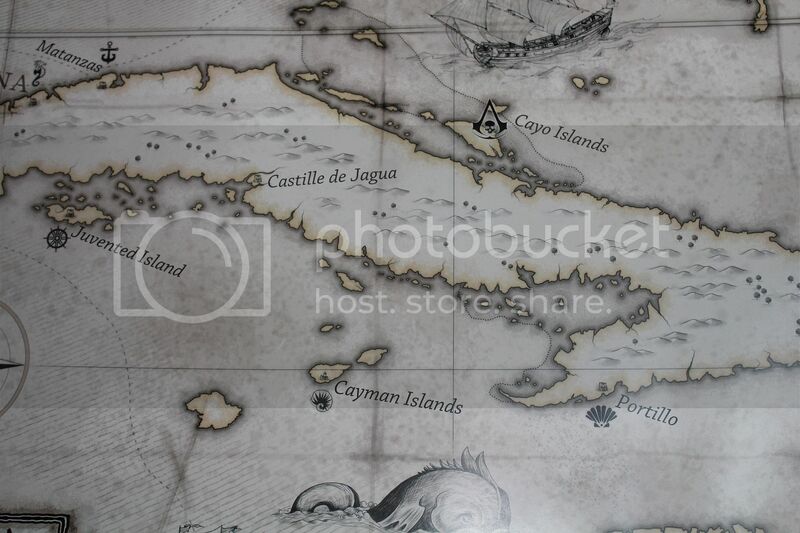 The artwork is one of the reasons why I have bought all their LE guidebooks. 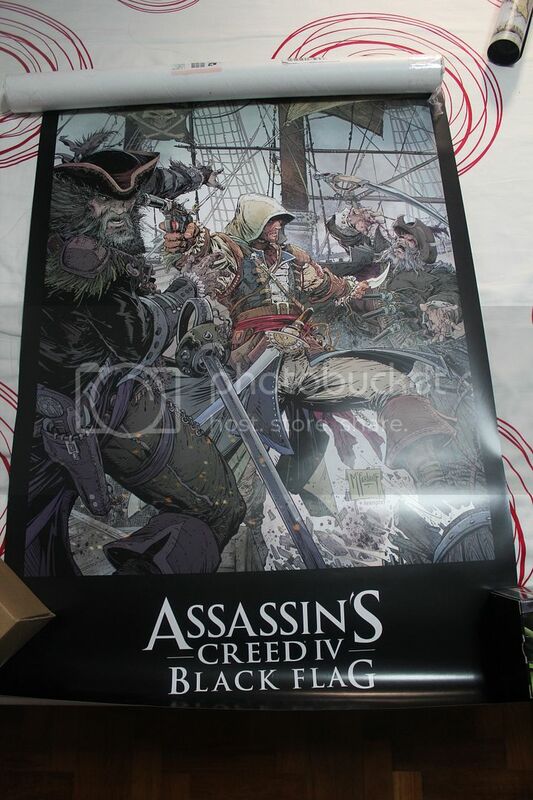 If I had more space (and of course lots more money), I would definitely consider some of the other rare lithographs..
More art stuff from the Assassin's Creed games, this promo poster for Assassin's Creed IV: Black Flags..
Don't really collect posters as well but I thought I should get this one. Why? Because this cover art was done by Todd McFarlane. Wouldn't say I'm a big fan of him but felt it would be nice to own this poster art done by him. Who knows? 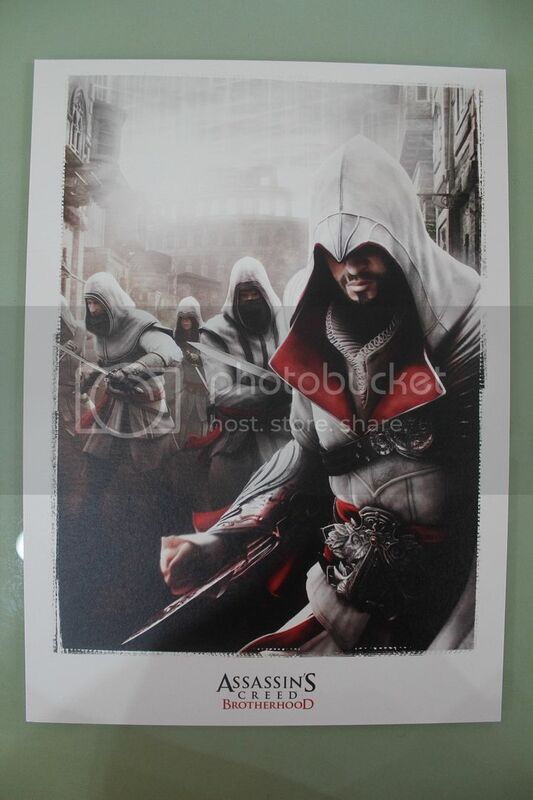 This could be the first of many pieces especially with the collaboration between McFarlane and Ubisoft for Assassin's Creed figure. Comics maybe? His signature on the poster.. Very nice! I actually got 2 pieces of the poster. 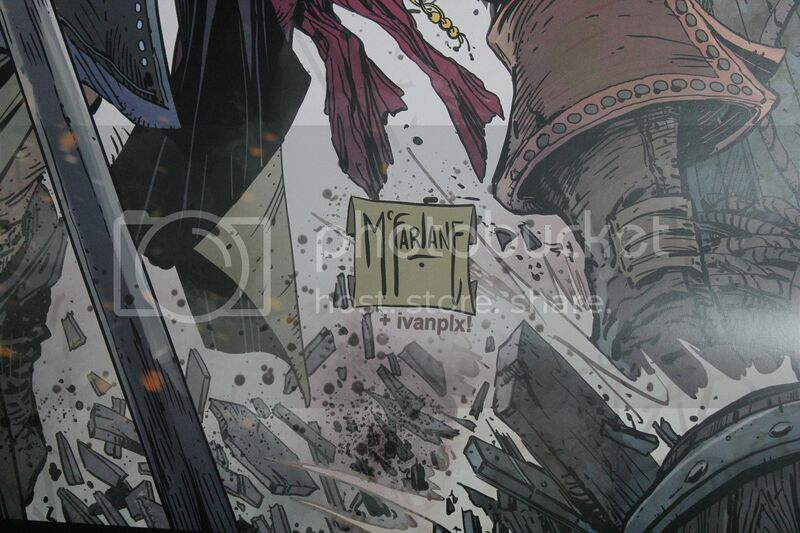 As it was double-sided, I thought of having 2 in case I framed them up so I could see both sides. 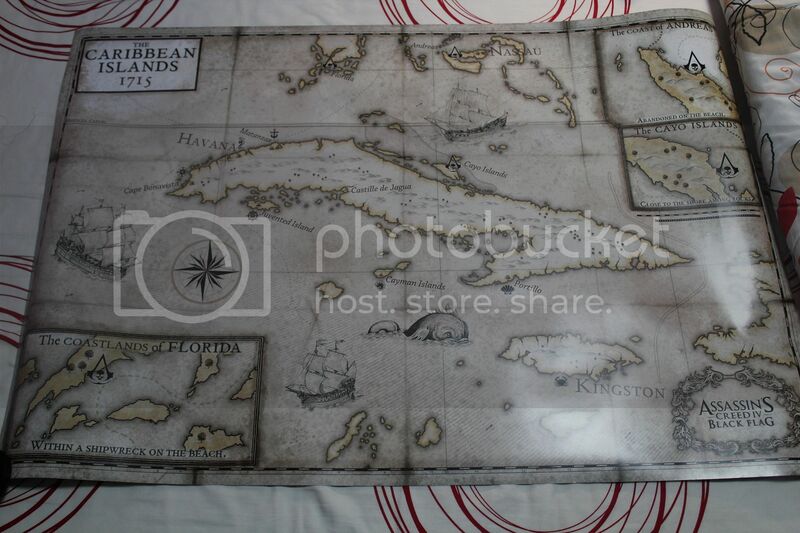 But after seeing some of the stuff coming out in the AC IV Collectors' Editions, I don't think I will need the map side framed up as well. 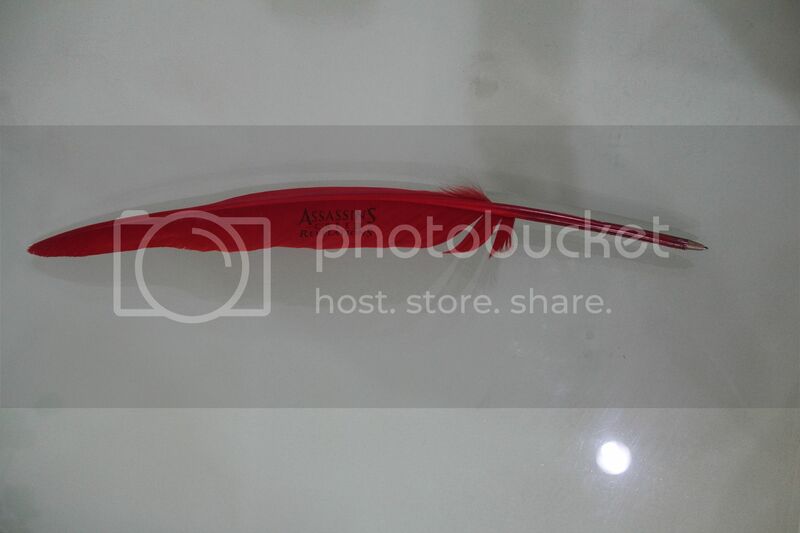 So if anyone wants a spare, I have one for sale at SGD$25. Drop me PM on Facebook if you are interested!